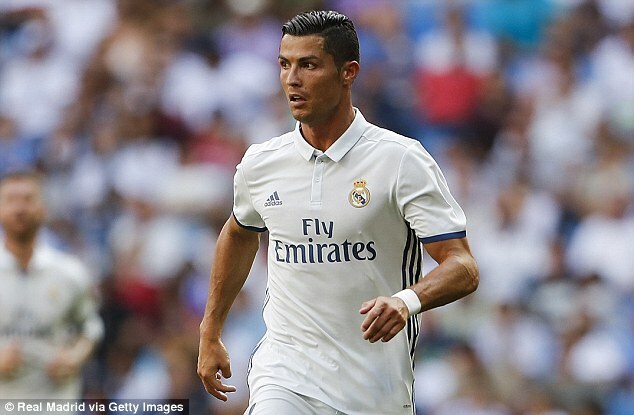 Ronaldo has lashed out at Xavi Hernandez after the former Barcelona player suggested the Real Madrid man was unlucky to be living in the same era as Lionel Messi. Xavi hailed the Portuguese forward as an elite player, but pointed out Ronaldo was unlucky to be around at the same time as the Argentina star. 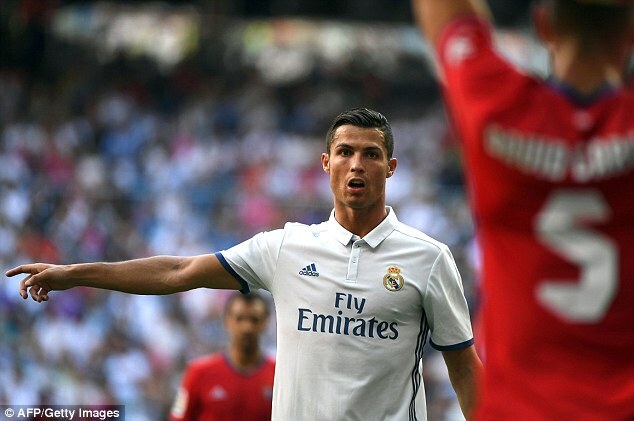 However, Ronaldo went on a tirade after helping his team beat Osasuna 5-2 on his return from injury. ‘The most searched for player on the Internet is me. ‘Those that want to appear on front covers [of newspapers] or promote things speak about me. 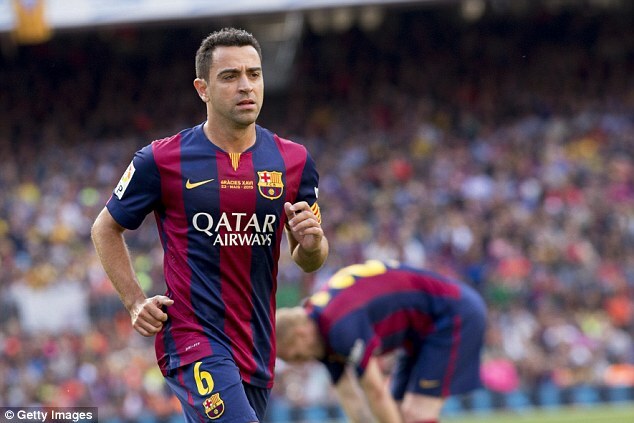 ‘What does it matter to me what Xavi says? He plays where? In Qatar or [somewhere], I don’t know. 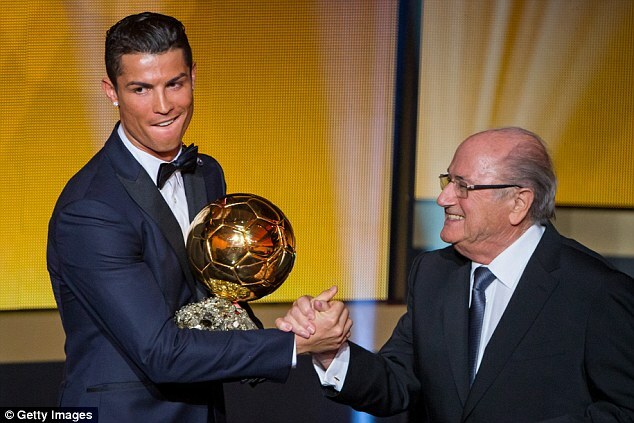 ‘The most searched for player on the Internet is me,’ bragged Ronaldo. ‘Those that want to appear on front covers [of newspapers] or promote things speak about me. Messi has won five Ballon d’Ors and is widely considered the best player of all-time, but Ronaldo believes he is worthy of that accolade. 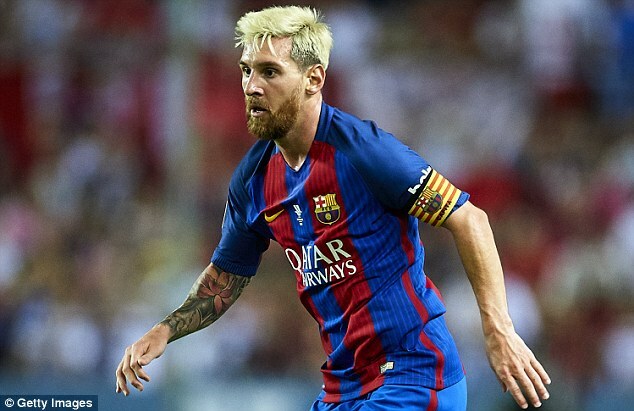 Messi is widely considered the best ever, but Ronaldo believes he is worthy of that accolade. 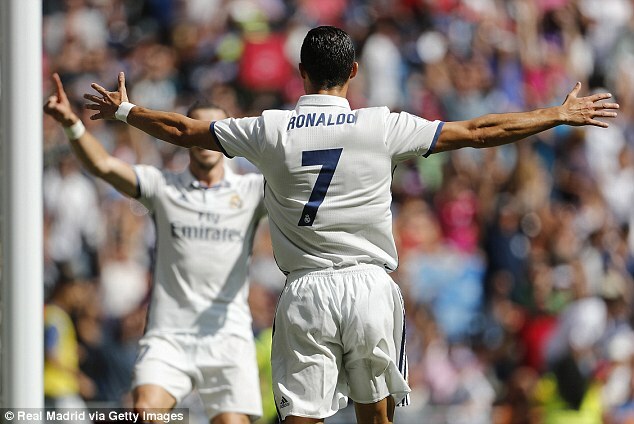 On Saturday Ronaldo scored on his Madrid comeback in the sixth minute at the Santiago Bernabeu as Los Blancos ran riot against Osasuna, making it three wins from their first three La Liga matches. He was criticised in the summer for his comments about Iceland at Euro 2016, with Ronaldo claiming they had a ‘small mentality’ after they drew with Portugal in the group stage. 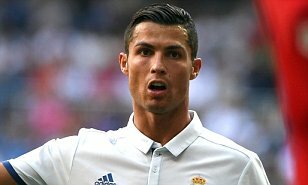 Ronaldo also claimed that if he were Florentino Perez, Real Madrid’s president, he would issue himself with a new mega-deal. Ronaldo’s current deal is set to end in 2018. A host of different Real players joined Ronaldo in netting against Osasuna, with Danilo, Sergio Ramos, Pepe and Luka Modric all on the scoresheet. Oriol Riera pulled one back for Osasuna and Kiko Casilla saved a Roberto Torres penalty, before David Garcia grabbed another and Cayetano Bonnin was sent off. For large periods Real Madrid were unstoppable as they battered the visitors from northern Spain, racking up their 15th consecutive win in La Logs.